What’s next for artificial intelligence? Our analysts looked across industries to identify 25 of the biggest AI trends to watch in 2019, from next-gen prosthetics to crop monitoring. Artificial intelligence is spreading across every industry. With new developments making headlines every day, it can be tough to sort out the essential news from the hype. Our analysts cut through the noise to identify 25 of the top AI trends to watch this year. Download the free report to learn about the biggest emerging trends in AI and strategies to watch for 2019. The barrier to entry in AI is lower than ever before, thanks to open-source software. Google started the trend when it open-sourced its TensorFlow machine learning library in 2015, and major tech players followed suit. A number of open-source tools are available for developers to choose from, including Keras, Microsoft Cognitive Toolkit, and Apache MXNet. The need for real-time decision making is pushing AI closer to “the edge.” This gives devices the ability to process information locally and respond faster. NVIDIA, Apple, and a number of emerging startups are focused on building chips exclusively for AI workloads at the edge.” One of the top AI trends to watch in 2019 will be the growth of edge AI across applications. From unlocking phones to boarding flights, facial recognition is going mainstream. 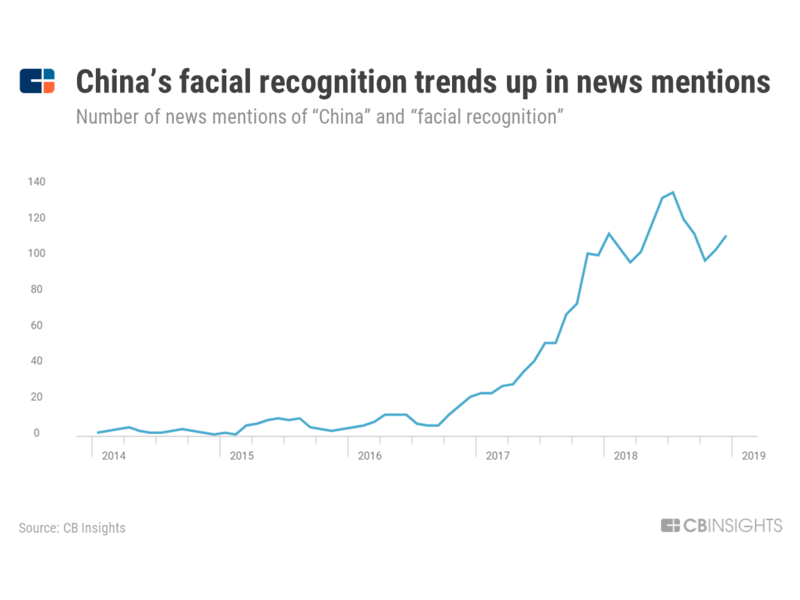 Early commercial applications are taking off in security, retail, and consumer electronics, and facial recognition is quickly becoming a dominant form of biometric authentication. The FDA is greenlighting AI-as-a-medical-device. Fast-track regulatory approval for AI software products has opened up new commercial pathways for AI imaging and diagnostics companies. On the consumer side, smartphone penetration and advanced in image recognition are turning phones into powerful at-home diagnostic tools. One of the most impactful AI trends will be the approval and adoption of AI for medical and diagnostic applications. From manufacturers to equipment insurers, AI-IIoT can save incumbents millions of dollars in unexpected failures. Predictive maintenance algorithms use constant data collection to predict equipment failures before they occur. Thanks to dropping sensor costs, AI advancements, and a push towards edge computing, predictive maintenance has become more widely available. Look for increased investment to the sector in 2019 and beyond. Contextual understanding of search terms is moving out of the “experimental phase,” but widespread adoption remains a long way off. Despite technological challenges, early-stage SaaS startups are emerging, selling search technologies to third-party retailers. One of the top AI trends of 2019 will be more investment in the sector, including by major retailers. Deep learning has fueled the majority of today’s AI applications, but capsule networks could soon take its place. Capsule networks have a number of advantages over current convolutional neural networks (CNN). Research into capsule networks is in its infancy, but could challenge current state-of-the-art approaches to image recognition. Very early-stage research is combining biology, physics, and machine learning to tackle one of the hardest problems in prosthetics: dexterity. Researchers are using machine learning to decode signals from body sensors and translate them into commands to move prosthetic devices. This year, look for more development in this sector, including trials of consumer-facing products. One of the biggest bottlenecks in clinical trials is enrolling the right pool of patients. 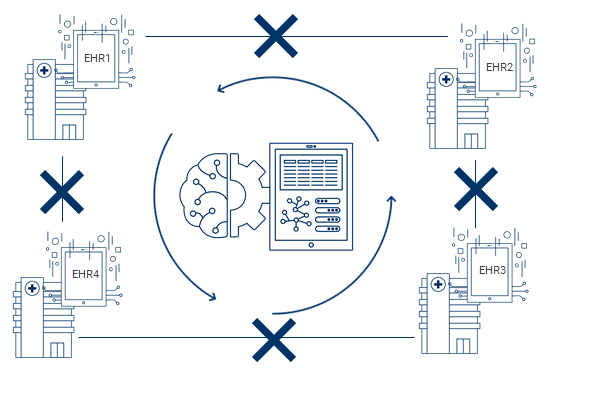 Ideally, AI could extract information from medical records, compare against ongoing studies, and suggest relevant studies to doctors and patients. 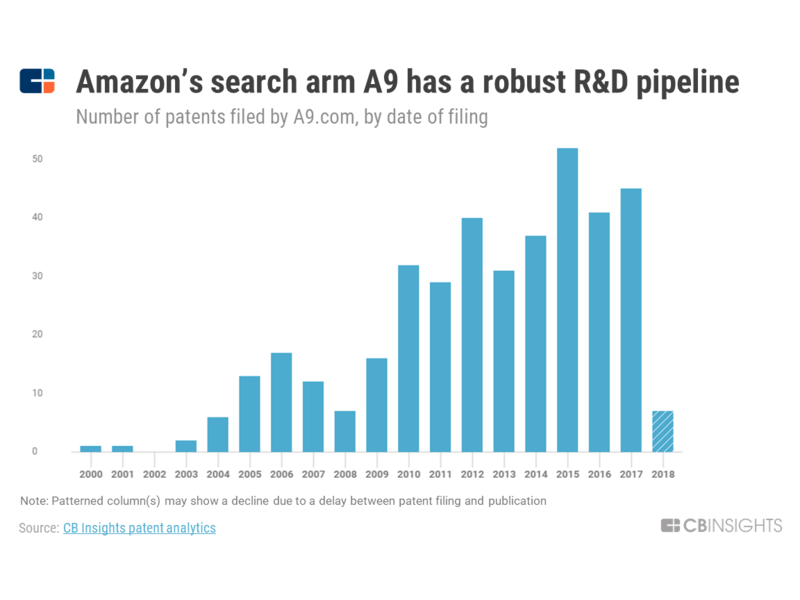 Few startups are working with clients directly in the clinical trials space, but tech giants like Apple are making strides. Since 2015, Apple has launched two open-source frameworks to help clinical trials recruit patients and monitor their health remotely. GAN taps into the idea of “AI vs. AI” and comprises of a generator and a discriminator. The generator creates a fake image, while the discriminator compares it to real-world images and provides feedback to the generator. The end result is a constant feedback loop that produces increasingly sophisticated images. As the research scales, it will change the future of news, media, art, and even cybersecurity. One of the top AI trends of 2019 will be further development of GANs and spillover into other applications. Training AI using unique local datasets can vastly improve their performance, but that user data is also personal and private. Google’s federated learning approach aims to use these rich datasets while simultaneously protecting sensitive data. Look for more applications of federated learning across drug discovery and other use cases this year. Using neural networks, researchers are starting to study and measure atypical risk factors that were previously difficult to quantify. From retinal scans to analyzing skin color changes, AI is unlocking medical insights from myriad sources. AI’s ability to find patterns will continue to unlock new diagnostic methods and identify previously unknown risk factors. Insurers and startups are using AI to compute a car owner’s “risk score,” analyze accident imagery, and monitor driver behavior. Advances in AI are overhauling what was previously a slow, human-dominated process and allowing for faster claims settling. The most promising 100 AI startups working across the artificial intelligence value chain, from hardware and data infrastructure to industrial applications. Fakes are getting harder to spot, and online shopping makes it easier than ever to buy fake goods. To fight back, brands and pawnbrokers are beginning to experiment with AI. 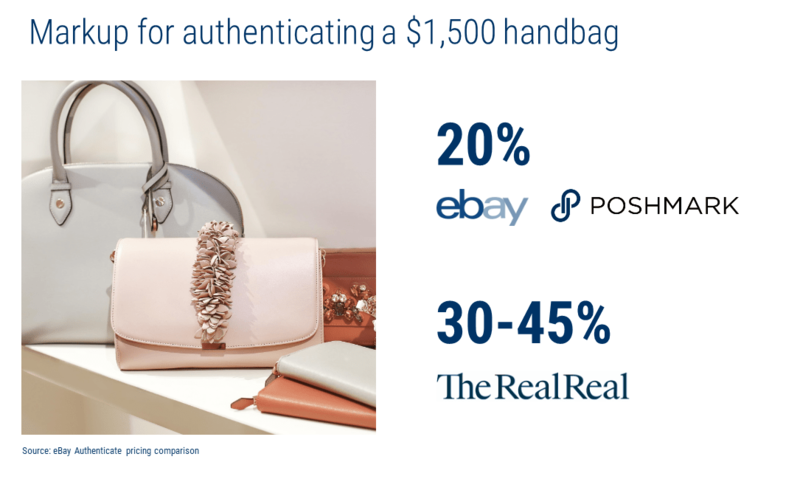 Across online and physical commerce, AI is being applied to identify knockoff products and fraudulent, trademark-infringing listings. So far, Amazon Go is the only successful checkout-free retail deployment, but the company has been tight-lipped about defining “success.” Among other concerns, theft prevention depends on the size and scale of operations, and the types of products available. In the near term, adoption will depend on costs of deployment and costs of inventory loss due to potential tech glitches. AI is automating administrative work, but the varied nature and formats of data make it a challenging task. Despite the challenges unique to each industry and application, different sectors are gradually adopting machine learning-based workflow solutions. In other areas, digitization needs to take place before there can be a layer of predictive analytics. One of the top AI trends of 2019 will be increased innovation and exploration across robotic process automation. Natural language processing for language translation is a challenge and an untapped market opportunity. Big tech companies like Baidu and Google are starting to make waves in the space. As resources are devoted to improving translation frameworks, efficiency and language capabilities will improve and adoption will increase across industries. Access to large, labeled datasets is necessary for training AI algorithms. But for some applications, access to sufficient real-world data may not even be feasible. Realistic fake data, or synthetic datasets, could solve the bottleneck. Real world data can also be augmented with a mix of AI-generated simulated data to create larger, more diverse datasets. In a nutshell, reinforcement learning asks: what action do you need to take to reach your goal and maximize rewards? 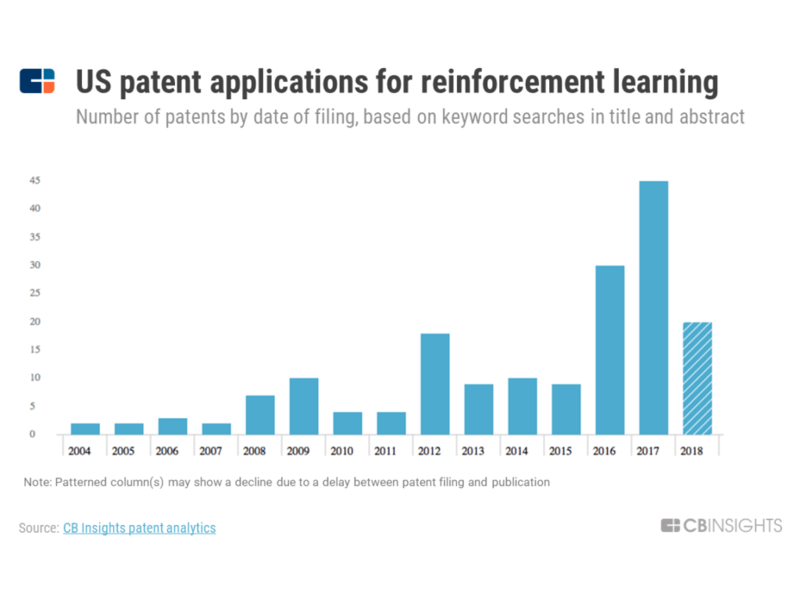 Researchers are pushing the boundaries of AI’s capabilities with reinforcement learning, but the need for massive datasets limits practical applications. 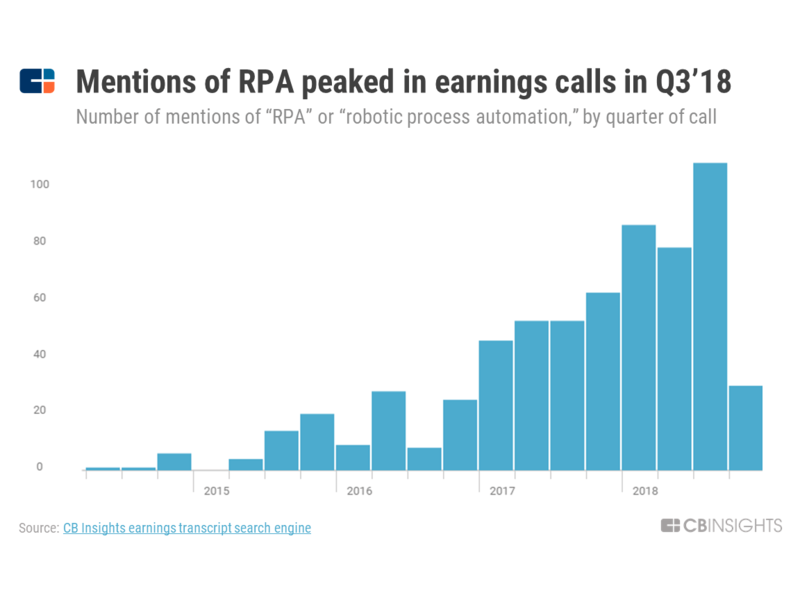 Despite challengers, major players are investing more in the technology, and research into RL applications is increasing. From facilitating spectrum sharing to monitoring assets and coming up with optimal designs for antenna, AI is changing telecommunications. And for communication service providers, optimization directly translates into better customer experiences. Telecom players are also preparing to integrate AI-based solutions into 5G wireless technology. One of the key AI trends in 2019 and beyond will be its increased integration into global telecommunication networks. 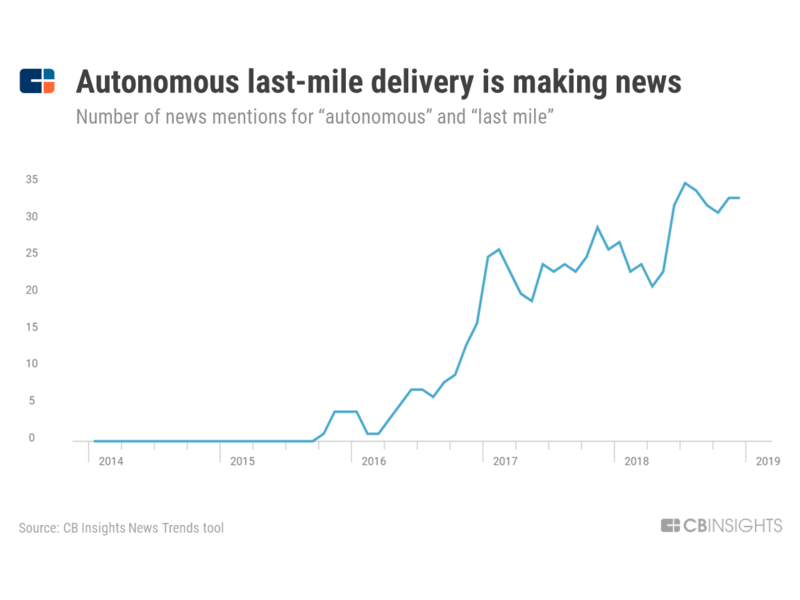 Despite a substantial market opportunity for autonomous vehicles, the timeline for full autonomy is still unclear. Some applications could see earlier adoption of fully self-driving vehicles, such as logistics and fulfillment. Even if deployment timelines remain unclear, a wide array of industries are actively investing in and adopting autonomous technology. Three types of crop monitoring are taking off in agriculture: on-ground, aerial, and geospatial. Startups and incumbents are embracing crop monitoring AI to manage pesticides, identify issues, and forecast how weather changes impact agriculture. Reacting to cyber attacks is no longer enough. Advancements in computing power and algorithms are turning previously theoretical hacks into real security problems. In response, proactively “hunting” for threats using machine learning is gaining momentum in cybersecurity. One of the top AI trends of 2019 will be the emerging demand for threat hunters across diverse business types. For many enterprises, chatbots became synonymous with AI, but the promise isn’t keeping up with reality. Despite their widespread adoption, chatbots have struggled with triaging–gauging the urgency of a situation–in complex fields like health and insurance. AI could improve chatbot capabilities in these fields, but it remains a particularly hard task for algorithms. 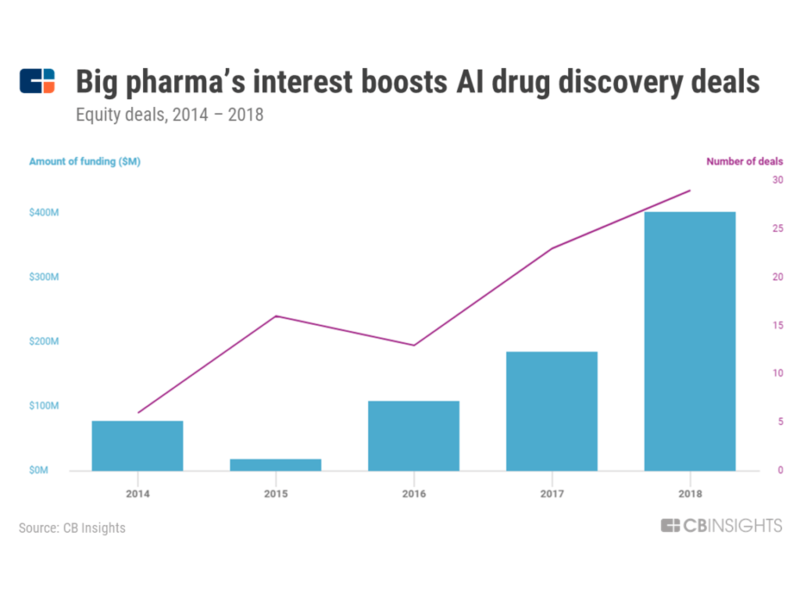 With AI biotech startups emerging, traditional pharma companies are looking to AI startups to reduce the long drug discovery cycle. Although many of these startups are still in the early stages of funding, they already boast a roster of pharma clients. One of the top AI trends of 2019 will be increased investment in the space by leading pharma incumbents.